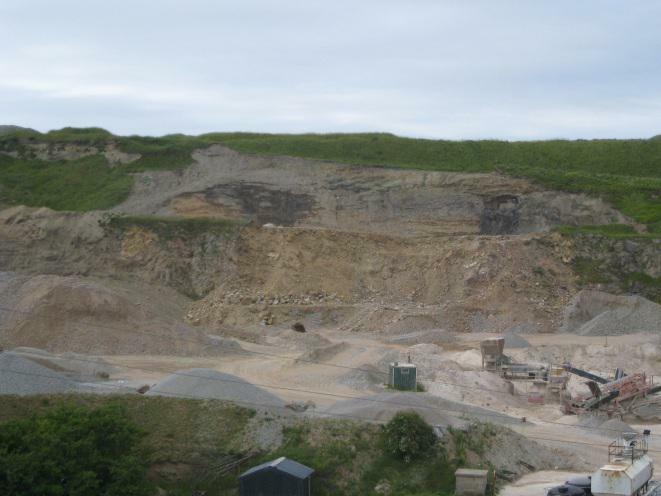 During the summer 2014 Breedon Aggregates provided a great opportunity to access the overburden above a working quarry face at Boyne Quarry, near Portsoy, Banffshire. Jon Merritt documented the glacial facies in the cleared 12m high section (described in the Quaternary of Scotland GCR), and recorded new evidence for subglacial channels. 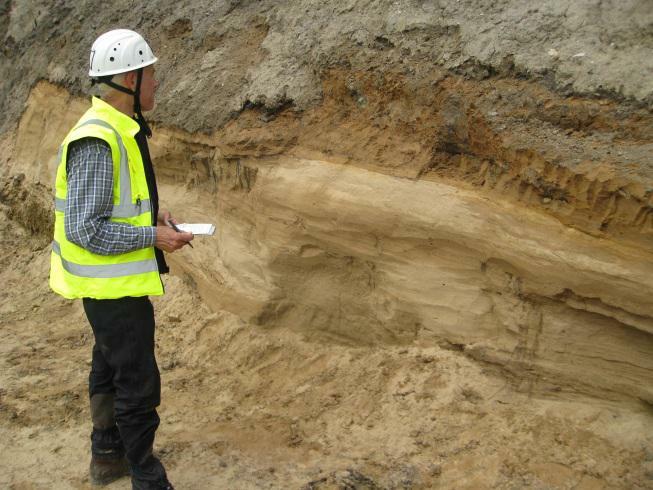 The presence of these sandy channel-fill deposits adds to current understanding of the sequence. Being able to access a working face as it retreats provides an unrivalled opportunity to examine the deposits and establish their three-dimensional relationships. As a result of this summer’s documentation the glacitectonic stacking of units at the site is confirmed, but some of the rafts of sand described previously may have been derived locally from similar subglacial channel fills, rather than from older proglacial outwash deposits ripped up by the ice and carried from farther afield.